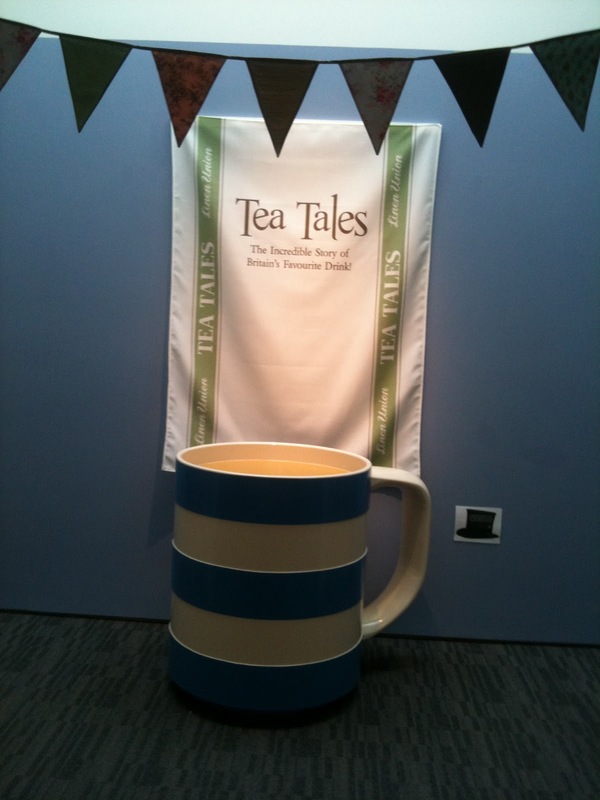 It is difficult to get the real size of this cup, but it was as high as my waist! I used to visit the library years ago and the building was impressive but it was the epitome of libraries in the 1980’s full of very dusty books and prim librarians. What a change! The Winchester Discovery Centre is a fantastic library certainly the way ahead, full of interactive displays computers and books! they have a permanent display space that can host exhibitions for local groups as well as their own. This is one of the earliest ‘teas made’ dating to the 1950’s. I had one when the children were small and they are excellent. 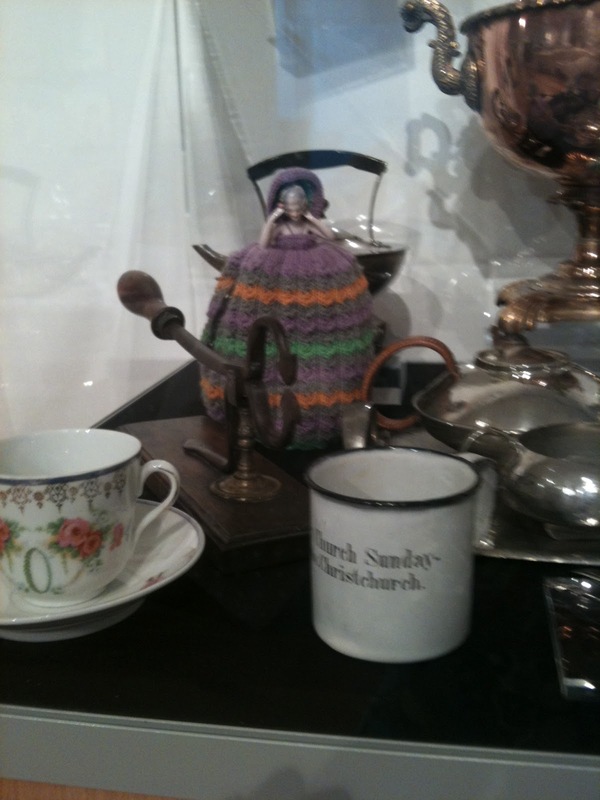 The tea cosy has a little china doll figure at the top, my Nan had one very similar. They were so pretty those days I remember I was not allowed to play with it. 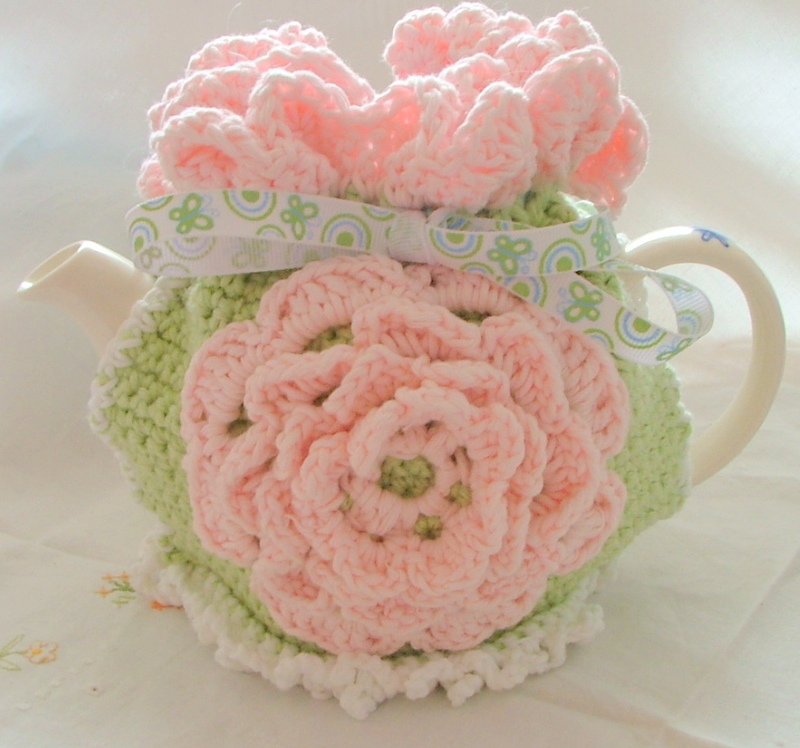 I have been thinking of doing a similar type of tea cosy, but have yet to find the right doll! The pincer things are for breaking up the sugar into cubes! and I did love the pretty victorian china cup beside it. 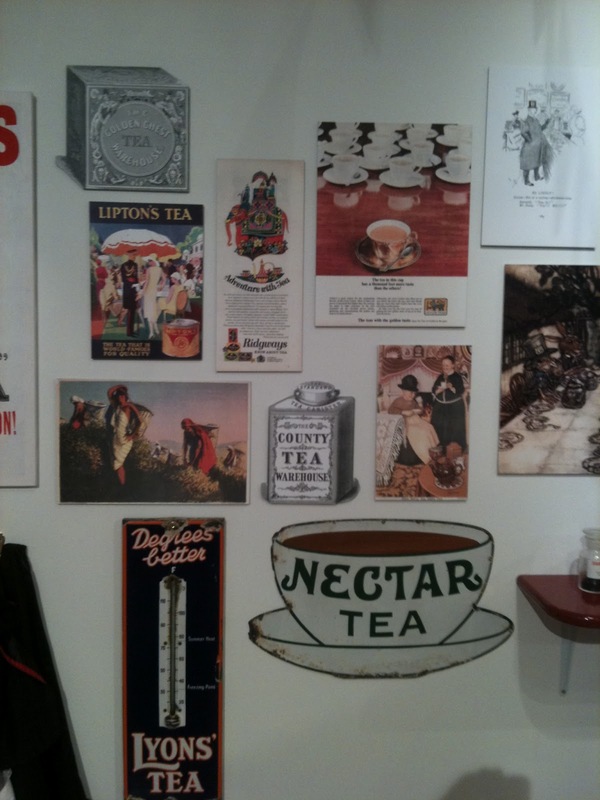 And Lyons tea, but I have never heard of Nectar tea or County tea. 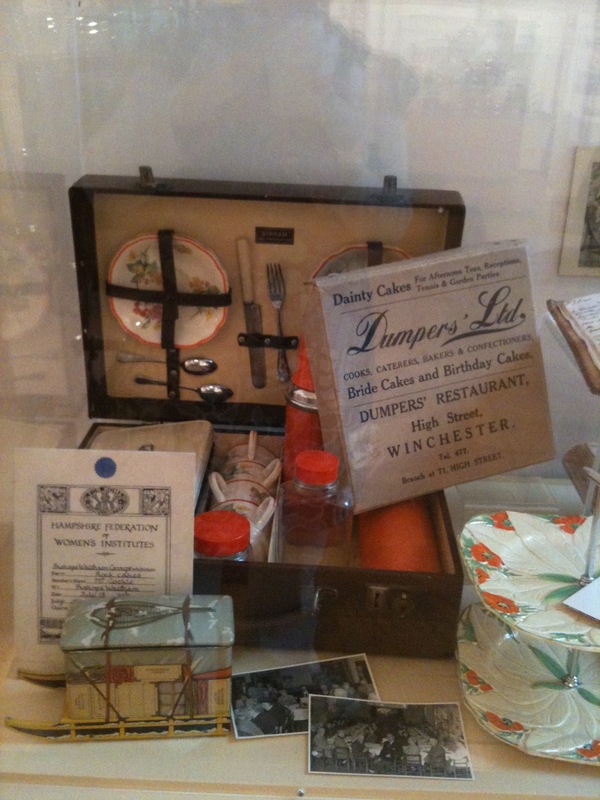 This lovely picnic basket was complete with its flasks and tea cups, imagine lugging that around today? 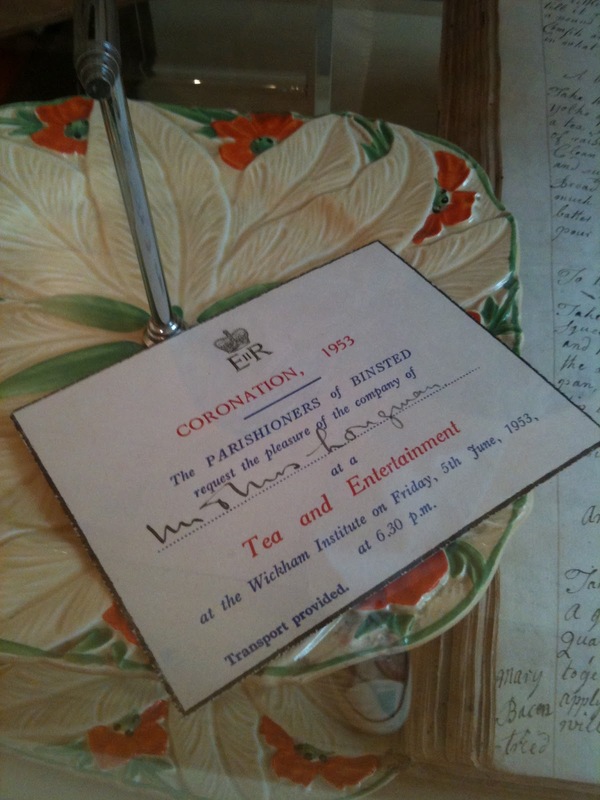 The little tin was a pretty sleigh design, I love the pretty design of the cake stand, reminiscent of the 1950’s as it formed part of the celebrations for the Queen’s Coronation. It was the Duchess of Devonshire who set the trend for Afternoon tea, to bridge the long gap between luncheon and Dinner, which in the 17th Century was often as late as 8pm. 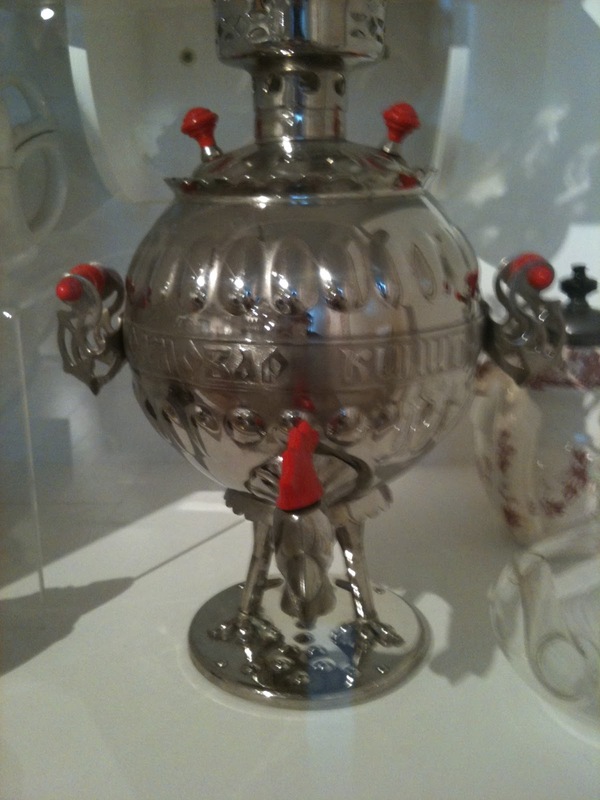 In those days the lady of the house would have a little water urn and make the tea for her guests, so there were lots of silver urns made in that period. 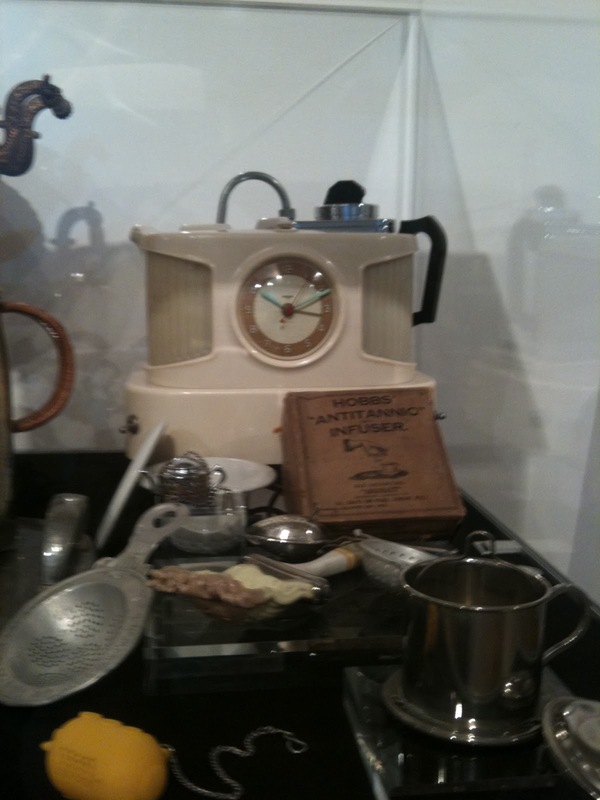 Tea was a very expensive luxury, and tea caddies were often locked. The tradition about wether or not the milk goes first came about during this period, china manufacturing was in its infancy and therefore only the most expensive porcelain could withstand the heat of the tea without cracking, hence by putting in the milk after the tea shows the quality of the service and the wealth of the hostess. This tea urn is Russian, they are also a nation of black tea drinkers however, it is usually served very sweet and black. 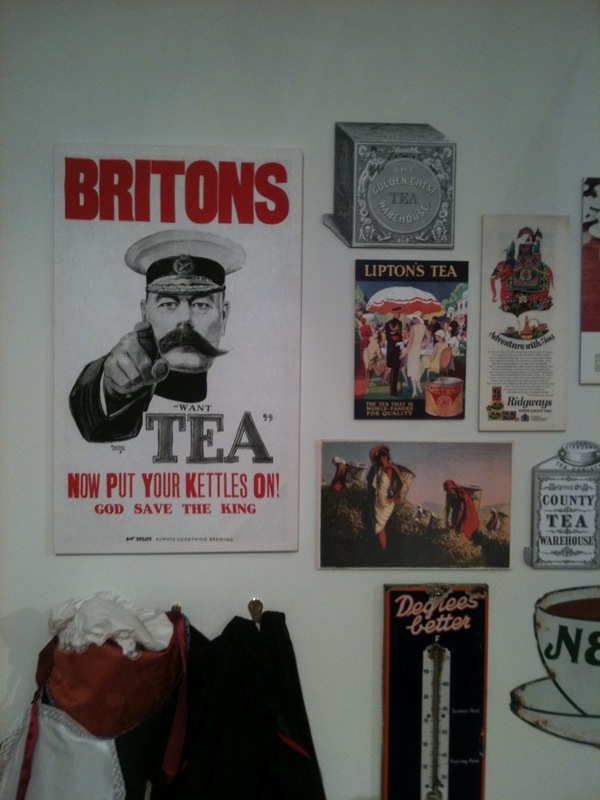 It was a great exhibition and totally free! Which is always a great thing.